Choose a cult colour from the M.A.C In Monochrome collection. Formulated to shade, define and showcase the lips. The iconic product that made M.A.C famous. M.A.C In Monochrome Lipstick (Limited Edition) now in colour-matched lipstick packaging. About the collection: With their latest collection, M.A.C in Monochrome, the brand has taken six of its most iconic lipstick shades and created a full-face range collection. The 'M.A.C In Monochrome' collection includes cult faves velvet teddy (deep beige), heroine (bright purple), see sheer (grapefruit pink), diva (intense reddish burgundy), candy yum-yum (neon pink), and the classic ruby woo (vivid red). Colors are matched to perfection with an accompanying lipglass, matte and frost eye shadows, powder blush, glitter pigments and lippie packaging has been upgraded to color-coordinated tubes. Explore the entire range of Lipstick available on Nykaa. 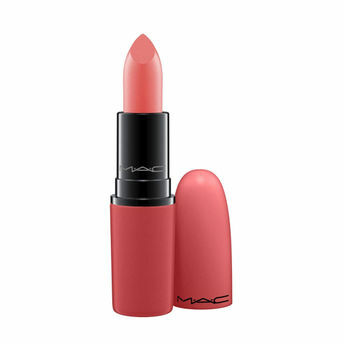 Shop more M.A.C products here.You can browse through the complete world of M.A.C Lipstick .Alternatively, you can also find many more products from the M.A.C Lipstick / Monochrome range.